The Peloponnese in Greece is the number one European destination that travellers need to see in 2016, according to Lonely Planet’s ‘Best in Europe’ top 10 list. 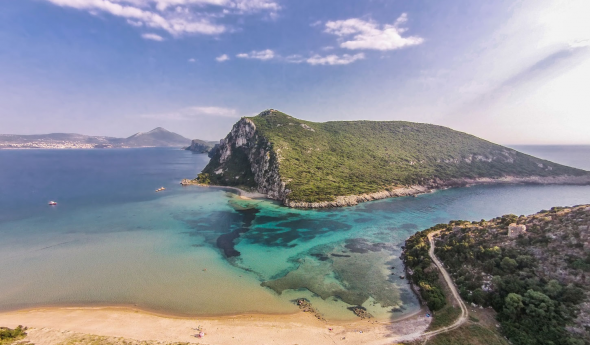 Lonely Planet’s travel experts combed the continent to create the ultimate selection of European destinations to see this year and has placed the Peloponnese in Greece as the destination everyone should see first. “Now more than ever the Peloponnese is the perfect destination for absorbing traditional Greek life, compelling history and inspiring landscapes”, Lonely Planet notes on the Peloponnese, “one of the country’s most diverse, vibrant regions”. According to Lonely Planet, the Peloponnese remains an affordable enclave of magnificent ancient sights like Olympia, Mycenae and Mystras, which are scattered across a rich landscape of stone villages, teal seas and snow-capped mountains. According to the “Best in Europe” list, Greece’s Peloponnese is followed by Aarhus in Denmark, Venice in Italy, the Dordogne in France and Lviv in the Ukraine. Warwickshire in England is the sixth must-see destination in 2016, followed by Extremadura in Spain, the East Coast in Tenerife, Texel in the Netherlands and Northern Dalmatia in Croatia.